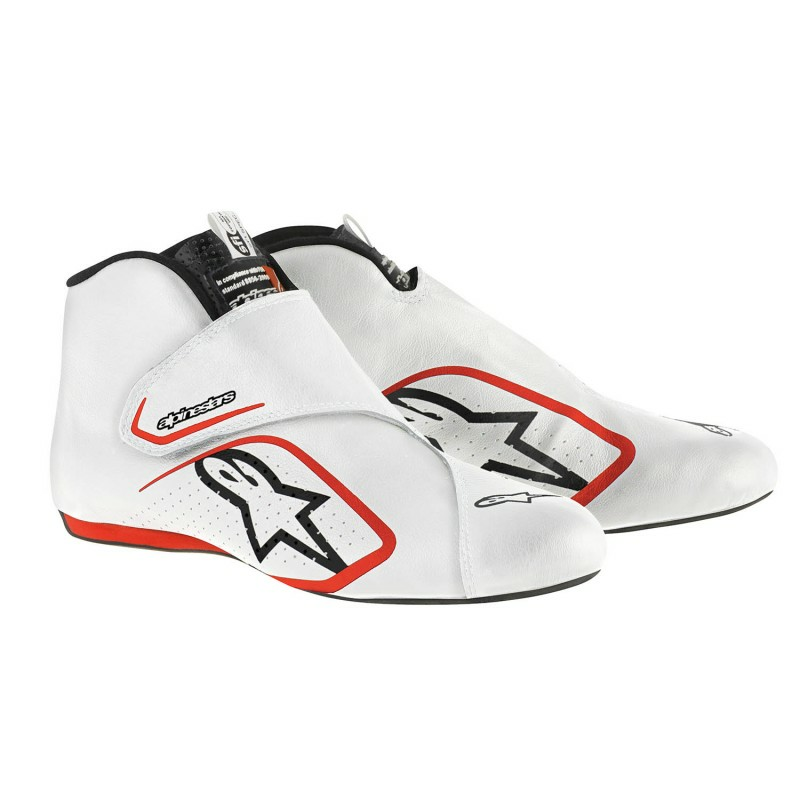 Alpinestars new closure design features an extensive Velcro® strap and elasticated gusset that closes across the instep allowing for an ergonomic fit, especially on the medial side, and a highly reduced material construction for greater comfort and performance in the cockpit. 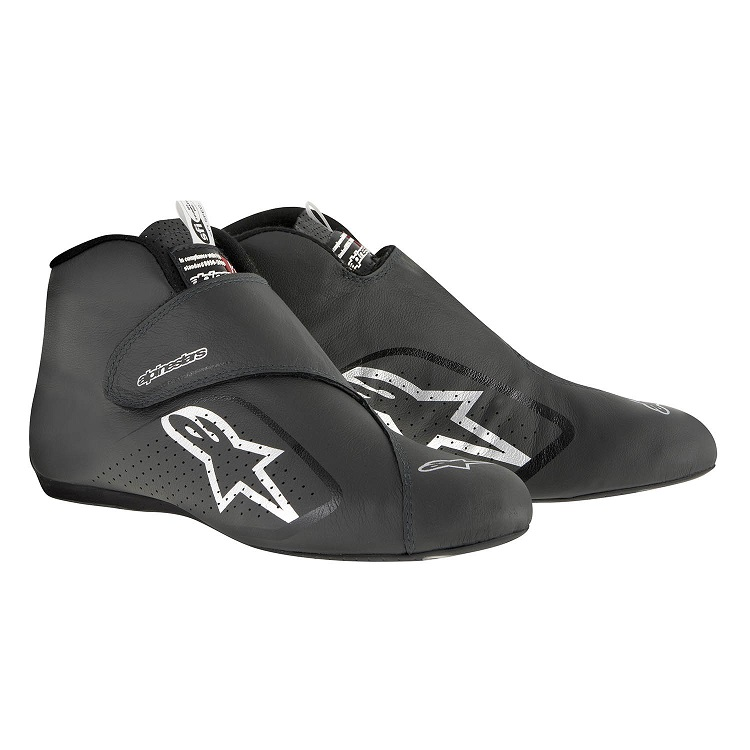 The Velcro® closure, a first for Alpinestars’ auto footwear, offers a secure and personalized fit and incorporates perforations to help reduce weight while maintaining structure and strength. The laceless design offers quick and easy in/out and all-round weight-saving. •Main upper chassis constructed from supple, lightweight kangaroo leather for exceptional levels of comfort and durability. 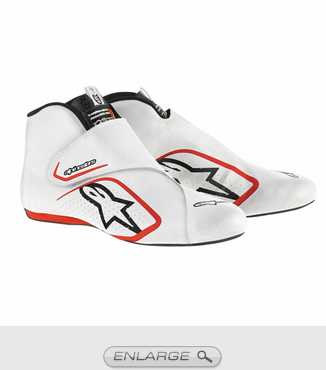 •Alpinestars foot counter features multi-compound construction and ergonomic Polypropylene heel counter, which provides support, protection and stability plus integrated PU fireproof heel for comfort. •Lightweight micro-porous padding around the heel and insole enhance comfort while driving and walking. •All graphic elements are printed for improved weight-saving. •Extensive perforation zones on lateral and medial sides, tongue and collar for improved ventilation and breathability and comfort. •Tubular lining construction in Nomex® material for excellent levels of heat-resistant, weight-saving and reduced seams to improve all round comfort. •Tongue padding made in double layer CarbonX® fabric for additional flame-retardant properties, plus reduced weight. •Collar padding constructed from Nitrile Rubber for comfort and weight-saving. 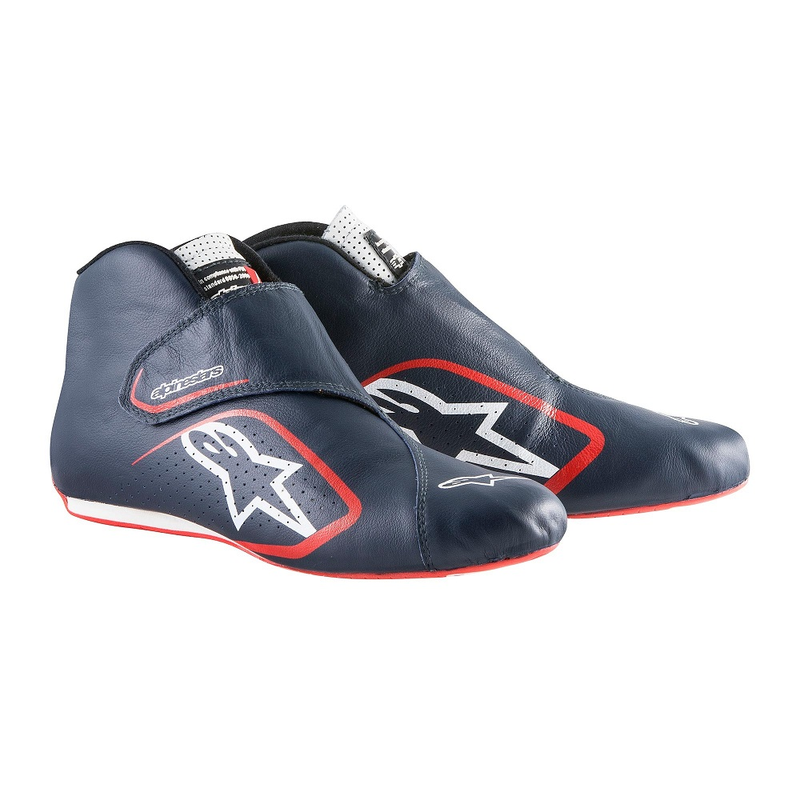 •Alpinestars exclusive lightweight rubber compound sole with special line textured grip and improved pedal feel in race conditions. •FIA /Alpinestars label on the tongue made from fireproof TPR.